– XBoom Coupler installs between your Boom and the Dipper Stick. 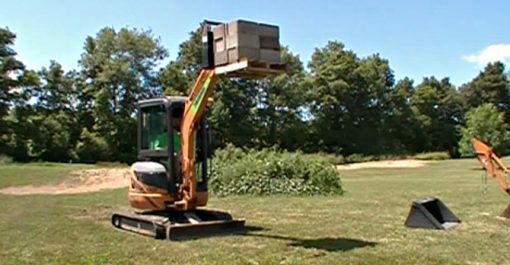 – Drop your stick, quick-connect any skid steer attachment to the boom. – Increased lifting capacity with the attachment closer in. – Dig, swing and dump especially useful clearing snow. Turn Your Mini Excavator into a skid steer type tool carrier with the Amulet X-Boom Coupler System. EQUIPMENTLAND is the FIRST XBoom Dealer. Pick-up and drop your stick as easy as changing a bucket. 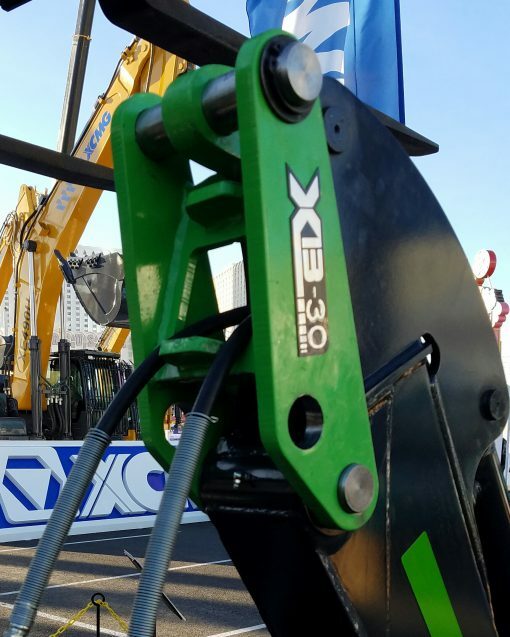 Equipmentland is proud to be the first authorized dealer to offer the revolutionary Amulet XBoom Coupler® that allows your mini excavator to pick up nearly any skid steer attachment. Within seconds you can now detach your stick from the boom, and attach any standard skid steer attachment. The XBoom coupler installs on the end of the boom, not the end of the bucket stick. 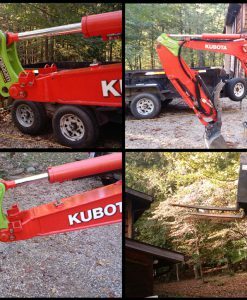 With the attachment mounted to the boom the leverage on your mini-excavator is much less than if mounted on the end of the stick. You can pick up heavier objects with less tipping. 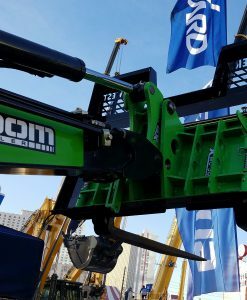 With XBoom your compact excavator becomes two machines in one. 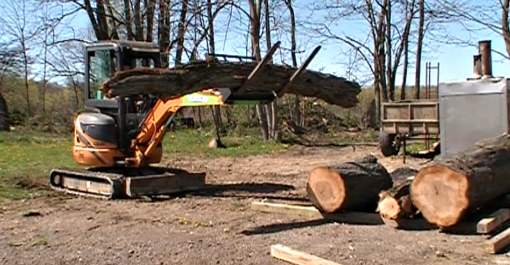 Converting your mini excavator boom to X-Boom is simple. 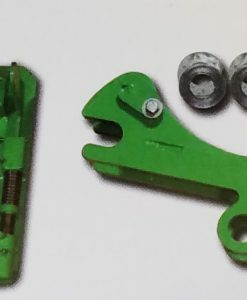 Install the provided flat face couplers to your hydraulic lines at your boom to stick connection. Then separate your stick from the boom and pin on the XBoom Coupler. You can then quickly switch from your digging/bucket stick to the skid steer attachment of your choice. The attachment is close-in allowing precision control. 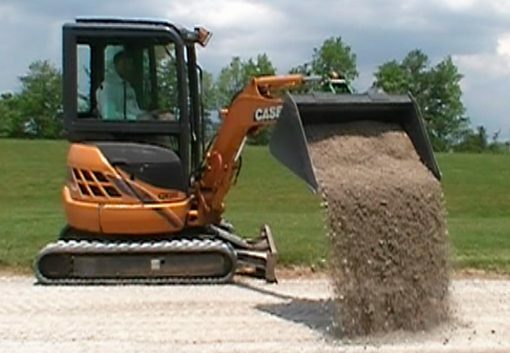 Now your mini excavator can function in many ways like a skid steer or turns it into a track loader. 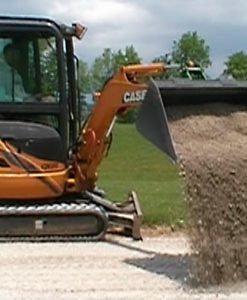 The swing capabilites of your mini-excavator allow much easier dumping of material, access to hard to get areas and more. XBoom is available for nearly any mini excavator. If your model is not in our list, you send us minimal measurements and the lead time will be minimal. Now one machine will do the work of two. 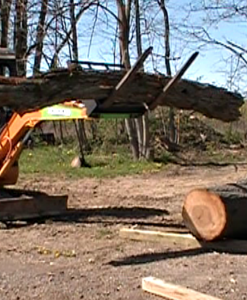 Your mini excavator can replace your skid steer in many applications. 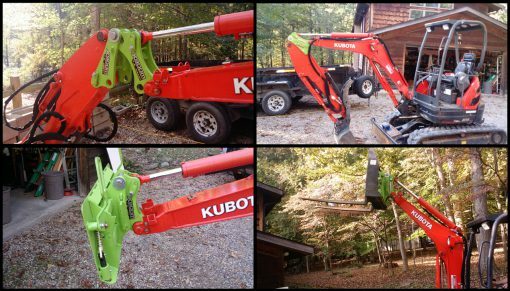 Easily convert your mini or compact excavator back-and-forth to a rigid-boom, full-revolving tool carrier. 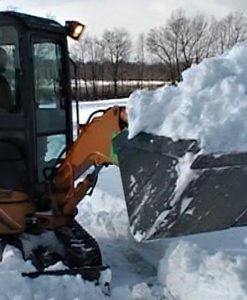 You do not lose any excavator functions, but gain the ability to turn your mini excavator into an easy to use skid steer attachment machine. Patent pending on XBoom. 2. Hook up to XBoom Skid Steer Adapter Plate (can already be hooked to attachment). 3. To resume digging, simply reverse the process to reconnect your stick. 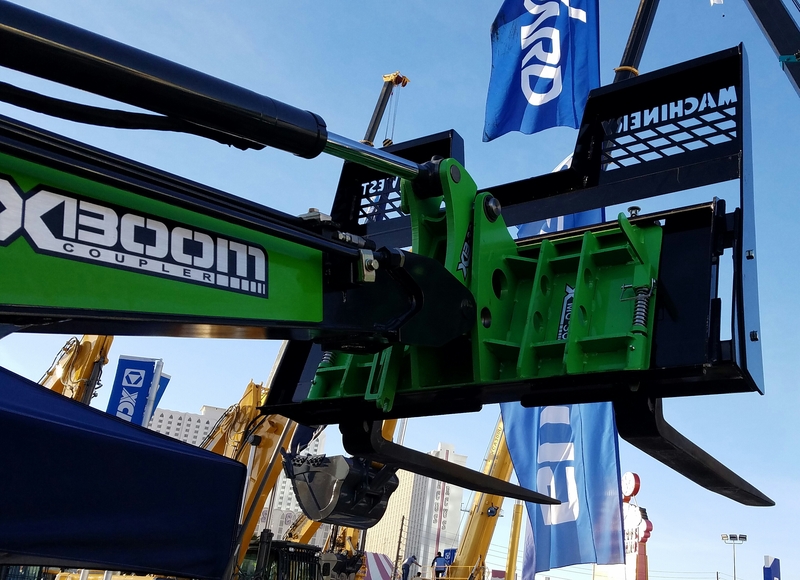 The XBoom Coupler System is a two-part System: the coupler and the skid steer adapter. (2) Flat faced hose couplers when purchased from Equipmentland. Installation: Hydraulic quick-couplers are be required on any hydraulic line routed to the dipper stick (bucket cylinder, auxiliary hydraulics, hydraulic thumb, etc.) Two are supplied when ordering from Equipmentland. Install all necessary couplers, then disconnect your stick from the boom. Install the XBoom Boom Coupler to the boom, and the Stick Receiver to the dipper stick. XBoom coupler pins are included where needed. Continue using two of your stock pins (stick cylinder pin & main stick bearing/rotation pin). Installation instructions included. EQUIPMENTLAND prices — lower than buying factory-direct. Indicate your machine model when ordering. Included is your choice of Adapter. MI: Mini-Walk-Behind Adapter: 24″ wide universal adapter compatible with machine attachments for Dingo, Boxer, Ditch-Witch, Vermeer, etc. Bucket Range 32″ to 48″. MU: Mini-Universal Adapter: 35″ wide, compatible with machine attachments for 463, S70, MT50, MT52, MT55 and MT85. 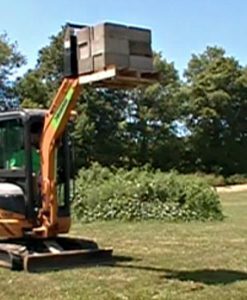 Bucket Range: 36″ to 54″ high capacity. Note: The MU Adapter will also latch to SU Standard Universal attachments (latch pins are in the same location). SU: Standard Universal Adapter: 44″ wide, compatible with all standard full-size universal skid steer attahments. Bucket Range 54″ to 84″. Note: Some XBooms may take four to six weeks to produce for some mini-excavator models. The XBoom compact excavator coupler system is perfect for basically anything you can put on a skid-steer, walk-behind or micro-loader including the following Universal Skid Steer Loader Attachments: Skid Steer Bucket, 4-in-1 Bucket, Stump Bucket, Rock Bucket, Manure Bucket, Skeleton Bucket, Snow Bucket, Mulch Bucket, Grapple, Hydraulic Breaker, Hydraulic Hammer, Cement Mixer, Concrete Claw, Concrete Crusher, Rock Crusher, Demolition Shear, 3-Point Adaptors, Auger, Bale Handler, Bale Spear, Boom, Fixed Boom, Telescopic Boom, Breaker, Hammer, Brush, Rake, Landscape Rake, Snow Pusher, Snow Plow, V-Plow, Snow Bucket, Snow Blower, Skid Steer Pallet Forks, Pallet Forks for Skid Steer, Pallet forks for tractor, tractor forks, Tree Shear, Trencher, etc. 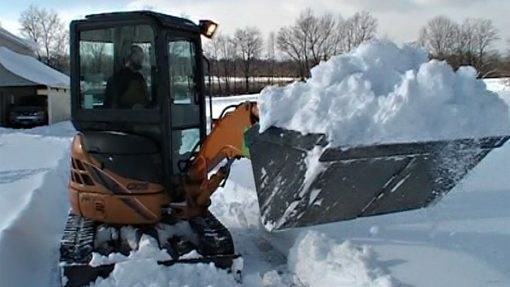 Contact Equipmentland today for more information and a quick quote to put your mini-ex to new uses. Equipmentland is an authorized worldwide Amulet dealer. We’re an Oregon company with no local sales tax. 2,000-4,000 lb., 4,000-6000 lb., 6,000-7,000 lb., 7,000-8,000 lb., 8,000-10,000 lb., 10,000-11,000 lb., 11,000-13,000 lb. Weight: Please contact us by phone or click Get Quote for shipping. Dimensions: Please contact us by phone or click Get Quote for shipping. Shipping costs vary by product. If a fixed price is indicated it will be your cost. In some cases "plus shipping" may be indicated; in that case you can complete your order but your credit card will not be charged until your shipping is quoted to you and you approve. Feel free to use our "GetQuote" button to submit for a complete quote before purchase. You can also provide payment information securely to our sales staff by phone. For more information on Equipmentland shipping visit this page.